The floor debate on the House budget occurs today, March 27. Over 300 amendments were filed – and don’t forget about the amendments to the amendments! The Representatives will begin debating at 10 am on the floor and will most likely go until about 3 o’clock in the morning – the whole Capitol will have a budget hangover on Thursday. Will you be following along with the shenanigans? Speaker’s Reunion Day is coming up next Friday, April 5th! Speaker’s Reunion Day, a tradition in the House since at least 1943, is set to occur next Friday, April 5th. Speaker’s Reunion Day is a traditional celebration where former House members gather for barbecue and to be recognized on the floor to share stories of sessions past. Read more about the tradition here. 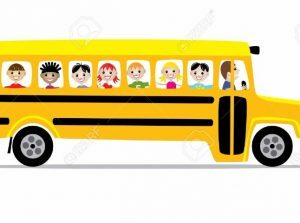 School finance reform, which is designated an emergency agenda item by Gov. Abbott, is advancing in both chambers. 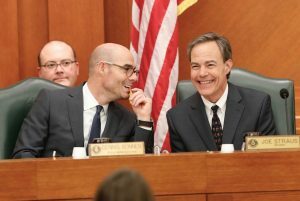 The House’s school finance reform measure, HB 3, is expected to be heard next week, April 3rd, while the Senate unveiled its bill earlier this month. 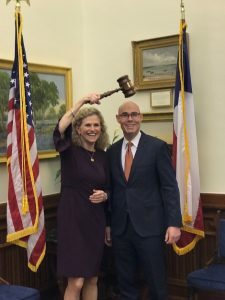 Rep. Donna Howard and House Speaker Dennis Bonnen share a laugh as he presents commemorative gavels to all the chairs and vice-chairs of House committees.